"A crash course in revenge"
Quinten Tarantino's Death Proof is an action-packed, suspense-filled thriller. A throw back to the low budget thriller movies of the sixties and seventies, this film tells the story of a highway stalker that is dead set on accomplishing his mission of ultimate destruction. The film starts off as Stuntman Mike, played by Kurt Russell, begins following a group of females. His obsession drives him to play a game of cat and mouse with the attractive group of women, who are completely ignorant of his intent. Stuntman Mike advances onto their trail until he decides to pounce, causing a deadly head on collision. Police are questionable of his story, but lack the evidence to press any official charges. He is set to be released after his hospital recovery from the life-threatening accident. Later in the film, Stuntman Mike sets his sights on Abernathy, played by Rosario Dawson, Lee, played by Mary Elizabeth Winstead, Zoe Bell who plays herself, and Vanessa Ferlito, who plays the aspiring Arlene. After speaking with Stuntman Mike at a bar, they question his intent as they remember seeing him earlier in their journeys. While carefully gaining their trust in them, his charismatic advances still go without any avail. It is only after talking Pam, played by Rose McGowan, into leaving with him that the audience is made aware of how he actually survived the first crash. Her demise paints a disturbing picture of the car's design. The women continue on their journey and decide to test drive a collectible car and play a game of their own, but they are not alone. Stuntman Mike reappears at the most crucial moment for the group of females, but will he succeed this time? 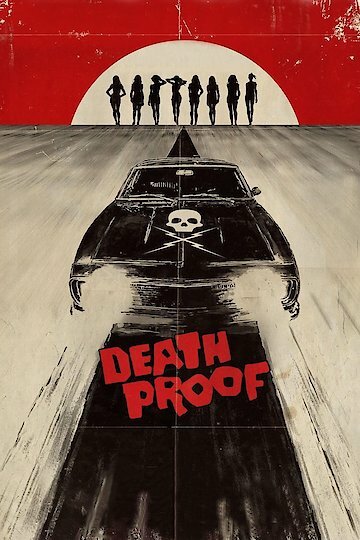 Death Proof provides female roles with hero status like few films have been able to do in the past. Death Proof is currently available to watch and stream, buy on demand at Amazon, Google Play, iTunes, YouTube VOD online.